The background of this North Irish Horseman is not known at present, other than that, at the time of the war, his address was 93 Madrid Street, Belfast, and that he was born in 1896. He may have been the Robert Thompson (or Thomson) born in Scotland in that year, the second of four children of iron moulder Robert Thomson and his wife Margaret. By the time of the 1911 Cesnus he was living with his parents and siblings in Mountpottinger Road, Belfast, and like his father, working as an iron moulder. 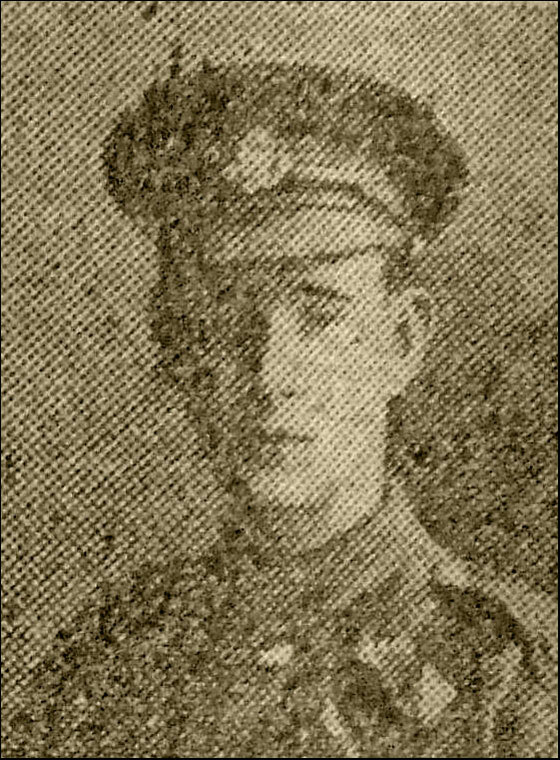 Thompson enlisted in the North Irish Horse on 25 May 1915 (No.1611). On 17 November 1915 he embarked for France with F Squadron, which was then serving as divisional cavalry to the 33rd Division. In June 1916 F Squadron came together with C Squadron and the 6th (Inniskilling) Dragoons Service Squadron to form the 2nd North Irish Horse Regiment, serving as corps cavalry to X Corps until September 1917, when the 2nd Regiment was disbanded and most of its men transferred to the infantry. After a brief period of training at the 36th (Ulster) Division's Infantry Base Depot at Harfleur, on 20 September Thompson was transferred to the Royal Irish Fusiliers and soon after was posted to the 9th (Service) Battalion – renamed the 9th (North Irish Horse) Battalion. He was issued regimental number 41213. He probably saw action with the battalion during the Battle of Cambrai in November and December 1917, and during the German spring offensive from March 1918. Soon after this, probably during the fighting on the Ypres front in April 1918, Thompson was wounded. Evacuated to the UK, on 18 May he was admitted to the County Of Middlesex War Hospital at Napsbury suffering from a compound skull fracture. On 29 August 1918 he was discharged as being no longer physically fit for war service due to his wounds (paragraph 392(xvi), King's Regulations), and was granted a pension. Soon after the war Thompson was living in Scotland, his address being Loanfoot Cottage, Bonnybridge, Stirlingshire.